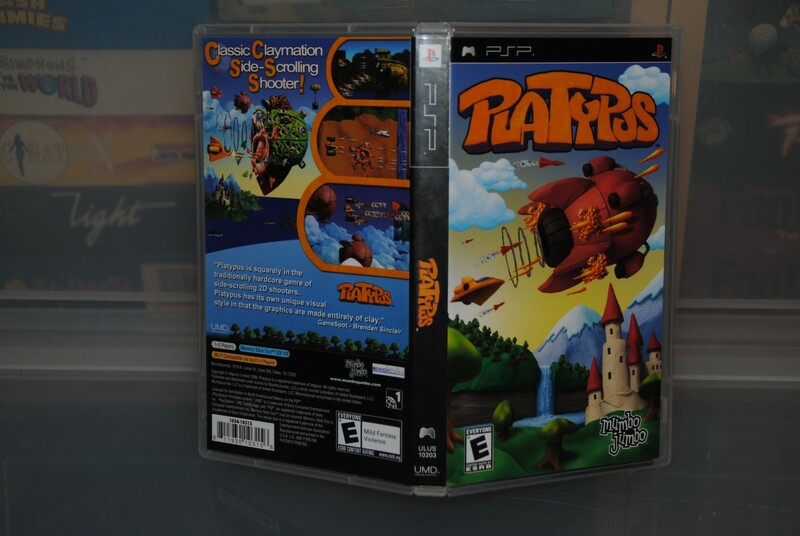 PLATYPUS is one of those games that tends to go under the radar, there was hype at one point (early in the development) but then when it eventually got released people had all forgot about the game and the marketing push around launch was next to nonexistent, oh and it certainly didn’t help that the publisher only launched it for a few selected countries/regions. The game was ported and released for the PSP thanks to MumboJumbo whom also went on and brought two other rather decent games on the platform later on, namely 7 Wonders and Luxor. The original work belongs to IDIGICON and Anthony Flak. PLATYPUS as an indie game stands out from the crowd thanks to a rather good feature list, how many PSP games had a multiplayer mode? a full-blown campaign, stats screens and so on, we take all these things for granted today but back in 2006 this was rather unusual for an indie game. The soundtrack in the game is another special thing as all(?) of the songs are remakes of SID tunes from the Commodore 64 era, this is thanks to the wonderful website ” C64Audio.com “, below is a text file found on the disc regarding the music. Platypus Music, supplied by http://www.C64Audio.com All pieces used by permission. Option Screen Music: “Flash Gordon“, by Rob Hubbard. Performed by Alistair “Boz” Bowness and Chris Abbott. From the CD “Back in Time 3” (c) 1986 High Technology Publishing, (p) 2001 High Technology Publishing Ltd. Title Screen Music: “Wizball 2000” by Martin Galway, performed by Gareth “Tonka of Iridium” Dolloway. From the CD “Back in Time 2” (c) 1987 High Technology Publishing, (p) 1999 High Technology Publishing Ltd.
Level Select Music: “Shadowfire” by Fred Gray, performed by Darren Izzard, Chris Abbott and Alistair Bowness. From the CD “Back in Time 3” (c) 1985 High Technology Publishing, (p) 2001 High Technology Publishing Ltd.
Level 1 Music: “Comic Bakery” by Martin Galway, performed by Tomas Danko. From the CD “Back in Time 2” (c) 1986 High Technology Publishing Ltd., (p) 1999 High Technology Publishing Ltd.
Level 2 Music: “Sanxion Loading Theme” by Rob Hubbard, performed by Chris Abbott. (c) 1986 High Technology Publishing Ltd. (p) 2000 High Technology Publishing Ltd.
Level 3 Music: “Ocean Loader 4” by Jonathan Dunn, performed by Alistair “Boz” Bowness. From the CD “Karma64”. (c) 1987 Jonathan Dunn, (p) 2002 High Technology Publishing Ltd.
Level 4 Music: “Driller” by Matt Gray, performed by Darren “SeDi” Izzard. From the CD “Back in Time 2” (c) 1987 Matt Gray, (p) 1999 High Technology Publishing Ltd.
Level Boss Music 1: excerpt from “Trap” by Ben Daglish, performed by Chris Abbott, Alistair “Boz” Bowness and Jason “Kenz” Mackenzie. Full version on the CD “Back in Time 3” (c) 1986 High Technology Publishing Ltd., (p) 2001 High Technology Publishing Ltd.
Level Boss Music 2: “Armalyte” by Martin Walker. Performed by Fabian Del Priore, Tom Boecker, and Phil “Puffy64” Reifke. From the CD “Back in Time 3” (c) 1988 Martin Walker (p) 2001 High Technology Publishing Ltd.
A really good list of songs here and admittedly one of the main reasons why I couldn’t put the game down back in the day when the game came out. THE OST CAN BE DOWNLOADED HERE. The level select screen, rather cool picture which represents the style of the game levels really good. The Claymation style is everywhere in the game and even this fullscreen picture, must have taken ages to do for sure. PLATYPUS got a weapon system that can be rather annoying as it’s time-based and if you pick up a weapon you don’t like, well then you’re basically in the doodoo/shitter for the next 30 seconds unless you manage to get another weapon, that is. To get a new weapon you will have to shoot a certain wave of enemies and as soon as all of them are killed then a star collectable pops up, shoot it to change what kind of weapon you want ( Yellow, Blue, Green, and Red etc). Most of them don’t do much and in all honesty, there’s only one that I found to be any good, the yellow one (as seen in the picture above). Here you can see the green weapon in action, looks good right? Well, it’s so weak that most enemies end up flying past you. At the end of the level, you get a nice stats screen, this is a proper motivation tool to get better in the game for sure. The further into the game you get the more enemies to show up on screen at the same time, it never turns into a bullet hell type of game but it does get rather crowded at times and it’s very easy to get hit or crash into something. Technically this game ain’t all that much, there ain’t huge enemies and fancy effects or special trickery techniques in sight but for those of you who love a proper parallax scrolling will be happy to hear that there’s a pretty decent multi-layer 6-way one in PLATYPUS. The controls and game mechanics work nicely together without causing any form of annoyance yet ultimately it will always feel like a shareware/PD type of title. It’s amazing to think of that Anthony Flak singlehandedly made everything in the game by hand and even more so that he only had one lump of grey clay to do it all with, he made one by one object and then took pictures of it and then imported the object onto his computer and coloured them in photoshop, the reason for all of this was due to a shortage of clay in his country (New Zealand). You will eventually encounter some bosses, the boss fights are pretty unique and like the one included here shows unorthodox for a shoot em’up like this. The boss fights can be very boring if you’re only using your standard weapon so you should focus on taking down the enemy waves and get that weapon upgrade as soon as you see them in order to get the boss fight finished quickly. The PSP menu screen is one of those things that I liked the most with the handheld, animated icons, and music to get you in the mood to play the game. A real shame they went away with this feature on the Vita and PlayStation 4. Here’s the cover art for the game, really good looking and represent the content inside exceptionally good. 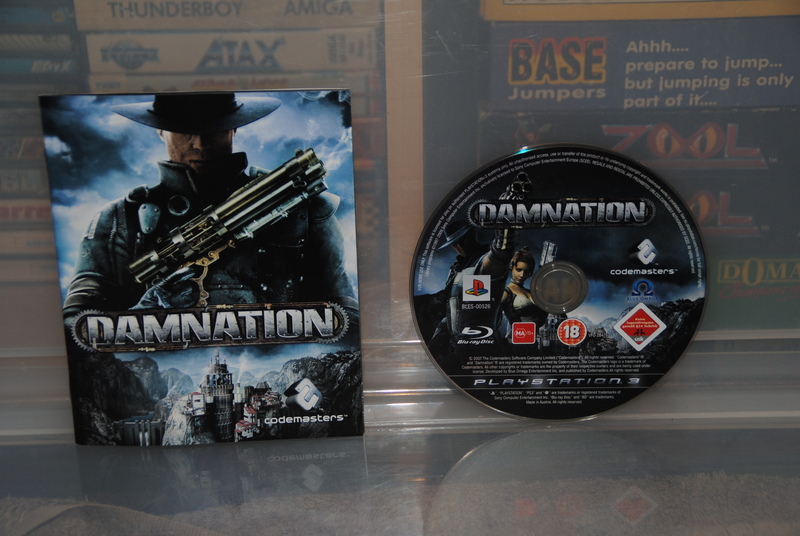 I wonder how many out there bought the game only based upon the cover art. This copy originates from the http://psp-images.net (?) website that I used to support heavily back in the day, the owner sent me some of his review copies as he knew they would get a good home in my collection. PLATYPUS ain’t an AAA title for sure, there are a few of those typical early indie problems and yes the gameplay does get boring at times, but there’s something about it that makes me all mushy how one man managed to do all this for such a type of game. It deserves to be mentioned more in the media and this is one of those games that fans of the genre need in their collection. Technically far from a masterpiece but unique and worthwhile with great style and music.